A latex-free, hypoallergenic paper tape that is gentle to the skin yet adheres well and leaves minimal adhesive residue upon removal. 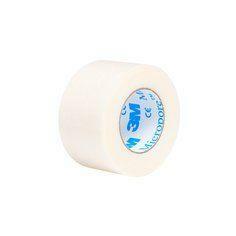 An economical, general purpose, breathable surgical tape. Available in white or tan. 1 inch x 10 yard (2.5cm x 9.14m). Paper, hypoallergenic surgical tape, standard roll.